In the United States, an immigration lawyer is the only person authorized by law to offer and give legal advice and represent a client. For those seeking a US visa or getting an immigration case resolved through the United States Citizenship and Immigration Services (USCIS), hiring a US immigration lawyer is undoubtedly the best option to ensure a smooth journey towards obtaining positive results. Unfortunately, many applicants still choose to take a different route. Those who are confident with their own capabilities to obtain the USCIS’ stamp of approval sometimes prefer to go through the application process pro se while those who cannot or do not want to rely on themselves to go through the process, but are hesitant to invest on a US immigration lawyer, choose to employ the services of an immigration consultant. What is a US immigration consultant? A US immigration consultant is anyone who provides assistance to applicants trying to obtain a US visa and those going through various applications related to immigration. The US immigration consultant can be anyone with either a vast or very little knowledge about immigration and its corresponding policies and regulations. What can a US immigration consultant do for you? The role of a US immigration consultant is limited to preparing paperwork such as filling out forms for applicants who cannot or do not want to fill out the forms on their own. The US immigration consultant, while filling out the forms for the applicant, can translate the questions for non-English speaking applicants and write their responses on the forms in English, if necessary. Any services done beyond paperwork require the intervention and supervision of a qualified lawyer. Are US immigration consultants legally authorized to render services? Different states have different laws governing US immigration consultants. However, the United States does not have a standard process on certifying immigration consultants so there are currently no licensed US immigration consultants in existence with the exception of one state– California. In California, an immigration consultants are recognized by the state but it is mandatory for them to “register with the Secretary of State” and satisfy the state’s qualification requirements first before being allowed to render services to their clients. Quite the opposite, some US states stipulate that no immigration consultant is legally authorized to render immigration services to anyone within the state unless he or she is a qualified lawyer. What are the advantages of hiring a US immigration lawyer? US immigration consultants are only allowed by law to render paperwork services and translation assistance and nothing else. US immigration lawyers, on the other hand, have more functions that include giving legal advice and representing clients with the USCIS aside from rendering paperwork and translation services during the entire application process. US immigration lawyers are experts in their field of practice and are authorities on any subject pertaining to immigration which is a tremendous advantage to those going through complex US visa and other immigration related applications. With the quality and variety of services offered by a US immigration lawyer, it goes without saying that he or she is legally allowed to charge higher fees. US immigration consultants can only charge minimal fees per their respective states’ laws. If you are still on the fence on who to hire for your immigration needs, just remember that your decision will greatly affect the outcome of your application. Simply put, you get what you pay for. You can opt to pay a US immigration consultant to fill out your application form for you or you can choose to invest on a qualified US immigration lawyer who understands immigration laws, who can and will represent you before the meticulous and quite intimidating USCIS if needed, who will tell you the correct forms to file, who will coach you with your responses especially during your interview, who will do the legwork for you, and most significantly, who will give you invaluable legal advice. If you were a fictional superhero character dwelling in a make-believe world, you probably won’t need any help from anyone in your lifetime because you can do it all yourself. You can be your own lawyer, doctor, dance instructor, chef, teacher and every other occupation you fancy. You can be the Jack of all Trades in your universe and that’s absolutely normal. In the real world, things are different. Unlike superheroes, we are not physically fit to do everything on our own. We may be gifted with our own expertise, skills and talents, but we turn to others for help with what we’re not capable of accomplishing. Imagine you’re the most celebrated scientist in the world and everyone turns to you for answers. But here comes tax filing season and you can’t trust your own scientific brilliance to accomplish the task. Instead, you turn to your accountant or your licensed tax expert to deal with the numbers and file your taxes for you. Or you may be the most famous businessman in the world who owns the biggest space station yet you have no clue how to plug the simplest light bulb in your night lamp or install a TV in your bathroom. You hire a handyman and a licensed electrician to do the job for you. Even the simplest among us turn to others for basic services to help us through life and that’s the bottom line. Sometimes, seeking help can be the wisest investment one can ever make to successfully accomplish a goal. If you’re a first time applicant for a US visa, chances are, you have already researched if you can do it yourself or if you should seek the help of an Immigration lawyer to help you with your application. If you go the USCIS website, the government agency will give you a straightforward answer. It says NO, you don’t need a lawyer to help you with your US visa application as your application will go through the same process whether you have a lawyer or not. However, that does not mean you cannot or should not seek the help of a lawyer. The application process to obtain a US visa may not be as simple as one may think especially if there are special circumstances that may hamper an applicant’s chances of getting an approval. More often than not, having a lawyer to help with the application process improves the chances of obtaining an approved US visa. It also takes the load off of the applicant’s back during the application process. 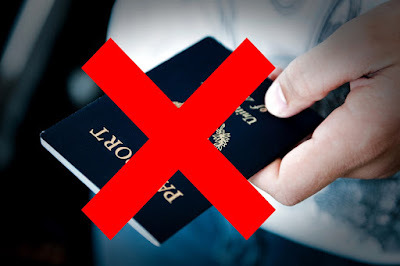 And sometimes, in more complicated cases, an applicant avoids not just a US visa denial but the grim consequence of being deported or blacklisted from entering the United States. Why should you seek the help of a US Immigration lawyer? Immigration rules and policies change and lawyers are up to date on these changes. They will be able to submit your US visa application according to existing rules and policies to avoid penalties and delays. Lawyers will file the application and do the necessary paper work for you. You will certainly have peace of mind knowing your application was filed timely and accurately. You will be prepared by your lawyer before your interview with the consular officer. You will be informed on what to bring during the interview and how to answer possible questions that may arise depending on the circumstances related to your application. You may avoid penalties, deportation or charges of immigrations fraud depending on your situation, probably due to past circumstances, that may affect your application if you have a lawyer to help you prove your innocence. Having complex circumstances such as medical conditions, past legal cases, a previous case of overstaying in the US, and other potential obstacles that may jeopardize your US visa application calls for the expertise of a lawyer who will help you obtain an approval despite your situation. 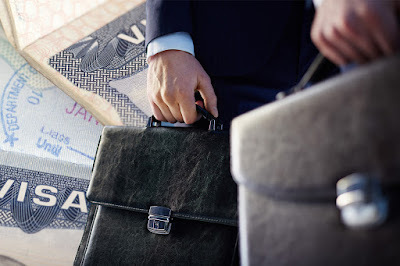 Is there a huge fee for hiring a US Immigration attorney? Some lawyers give free consultations but their services during the application process come with legal fees. You can look for the best lawyer that you can trust to handle your US visa application and consider the fees involved that will fit your budget. In doing so, keep in mind that the legal fees you will be investing on a lawyer may help you avoid the headaches and more fees that may come your way down the road, should you choose to handle your US visa application without the help of an Immigration attorney. Where can I find a licensed US Immigration attorney in the Philippines? For Filipinos seeking a US visa, you can find a licensed Immigration attorney in Manila that will help and guide you throughout the entire application process. Find the one that has the proven record of providing expert advice and reliable services that will help you obtain your US visa despite your complex circumstances. Hire the services of the licensed Immigration attorney in Manila that you can entrust your investment to with full satisfaction and peace of mind.